Monday was a day of action for the fans of Superstar Rajinikanth. For, the actor, who received the Padma Vibhushan award, also spilled the beans on the release of his upcoming film, the much awaited ‘Kabali‘. Speaking to media persons at the Chennai airport, he said, the film will release in the last week of May or early June. “Kabali might release in the last week of May or early June,” he said, without divulging more details. When we probed sources close to the unit, they said Rajini and others want the film to be released after the Tamil Nadu Assembly elections (May 16). “Moreover, the post-production works are yet to be completed,” they added. Rajini plays a don in this flick written and directed by Pa Ranjith. It stars Radhika Apte, Kishore, Kalaiyarasan, Dhansika, and Attakathi Dinesh in key roles. 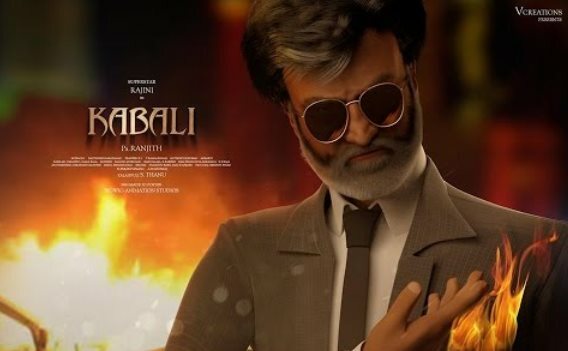 Produced by Kalaipuli S Thanu, ‘Kabali’ has music by Santhosh Narayanan.